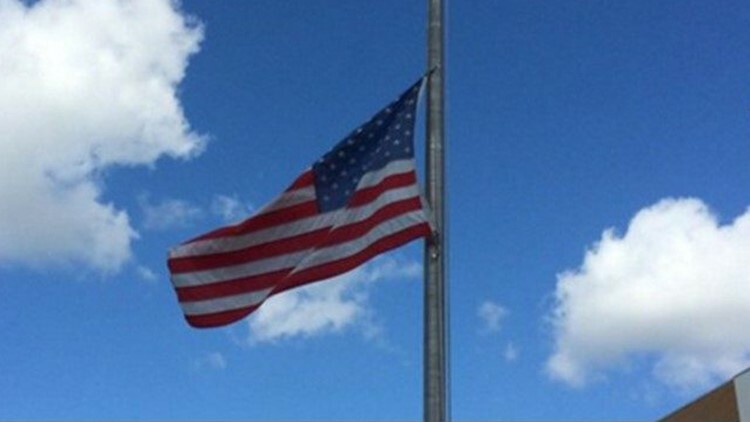 Flags in Florida should be lowered Thursday from sunrise until sunset. Gov. Ron DeSantis ordered flags throughout Florida to be lowered at half-staff Thursday to mark one year since the shooting massacre at Marjory Stoneman Douglas High School in Parkland, Florida. DeSantis signed a proclamation on Wednesday. DeSantis asked Floridians to observe a moment of silence at 3 p.m. Thursday. There is also a moment of silence scheduled for 9 a.m. in the Capitol Courtyard in Tallahassee. The mass shooting on Valentine’s Day 2018 killed 17 people. Flags should be lowered Thursday from sunrise until sunset.